Italian prosecutors want to extradite 13 purported CIA officials accused of kidnapping a radical Muslim cleric and transporting him to Egypt where he reportedly was tortured, and they've asked Interpol to help track down the Americans, a court official said Tuesday. 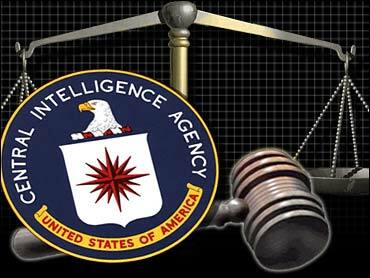 A man identified as the former CIA station chief in Milan is among the 13, according to court papers. Egyptian cleric Osama Moustafa Hassan Nasr — also known as Abu Omar and believed to belong to an Islamic terror group — was seized Feb. 17, 2003, on Milan streets, purportedly as part of the CIA's "extraordinary rendition" program in which terror suspects are transferred to third countries without court approval. The extradition effort and arrest warrants filed in the case marks a rare public objection to the practice by a close American ally in its war on terrorism. Opposition deputy Marco Minniti called the Nasr abduction "the most serious violation of national sovereignty in the history of the republic." U.S. officials defend the practice of "extraordinary rendition," saying they receive assurances that terror suspects handed over to foreign governments won't be tortured. They acknowledge, though, that once a transfer occurs, the United States has little control. Prosecutors have asked Interpol help in tracing the suspects, all identified as U.S. citizens, said the court official who asked not to be named because the inquiry is still under way. In announcing the arrest warrants Friday, the Milan prosecutor's office said it will ask for American and Egyptian assistance in the case. The 213-page order notes the arrests are needed in part because the suspects' links to "foreign intelligence services" give them the particular ability to destroy evidence in the case and disrupt the investigation. Among the 13, according to court papers, is a man identified as the former CIA station chief in Milan. The U.S. Embassy in Rome, the CIA in Washington and Egyptian officials have declined to comment. Premier Silvio Berlusconi's government will respond in parliament Thursday to demands to know whether Italian officials were involved, the leftist opposition said. CBS News reports that Investigators were able to trace the agents through check-in details at Milan hotels and their use of Italian cell phones during the operation, Italian news reports said. The official also said there was no evidence Italians were involved or knew about the operation. He asked that his name not be used because official comment was limited to the prosecutor's statement. But Vince Cannistraro, a former leading counterterrorism official in the CIA, said he doubted the U.S. government would launch such an operation in an allied country without coordinating first with the government. "No question," he told The Associated Press in Washington, adding the government may look the other way, as happened in Sweden when two suspected Islamic terrorists were handed over to Americans. Nasr, 42, was believed to have fought alongside jihadists in Afghanistan and Bosnia, and prosecutors were seeking evidence against him before his disappearance, according to a report in La Repubblica newspaper last year, which cited intelligence officials. The Milan prosecutor's office called the imam's disappearance a blow to Italy's own terrorism investigation. Nasr reportedly was tortured in Egypt, Milan prosecutor Manlio Claudio Minale says. He reportedly was hung upside down and subjected to extreme temperatures and loud noise that damaged his hearing. Nasr spoke of the torture in an intercepted cell-phone call to his wife. The 13 alleged CIA officers are listed by name but some of the names might be aliases, as is often a practice of such operatives overseas. Several gave U.S. post office boxes as their addresses. One suspect described as playing a key role was identified as former Milan CIA station chief Robert Seldon Lady, 51. The order said he had been listed as a diplomat, but was retired and living near Turin. Attempts to reach Lady for comment were unsuccessful. His whereabouts were not known. Italian police raided his house Thursday, but he was not there, Italian newspapers reported. The report cited "serious circumstantial evidence" against him based on cell phone contacts with other alleged members of the group. In the report, Judge Chiara Nobili says cell phone records show Lady was in Egypt from Feb. 22-March 15. The report says that those were likely the first days Nasr was being tortured during interrogations. The report details how investigators followed a trail of credit card information and U.S. addresses that the purported CIA agents gave to five-star hotels in Milan around the time of Nasr's alleged abduction. It said two pairs of agents took a Venice holiday after delivering the Egyptian to Aviano, a joint U.S.-Italian air base north of Venice. Nasr was then flown to Ramstein, another U.S. base in Germany, and finally on to Egypt, according to the report.